Asian markets were mostly higher Monday on signs that the U.S. and China were closing in on a trade deal after months of negotiations. 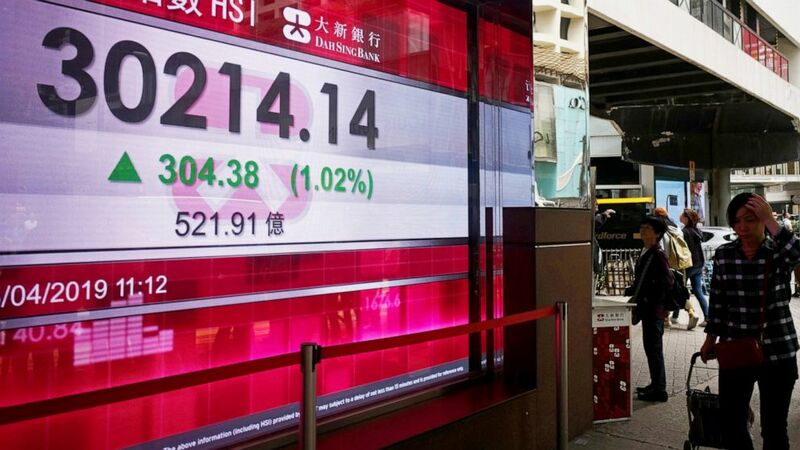 The Shanghai Composite index rose 0.6% to 3,207.87, after gaining close to 2% in early trading. Japan‘s Nikkei 225 index jumped 1.4% to 22,169.11. The Kospi in South Korea added 0.4% to 2,242.88 and Hong Kong’s Hang Seng picked up 0.3% to 29,986.22. Australia‘s S&P ASX 200 was flat at 6,251.40. Stocks rose in Taiwan and Indonesia but fell in the Philippines. ENERGY: Benchmark U.S. crude shed 28 cents to $63.61 per barrel in electronic trading on the New York Mercantile Exchange. The contract gained 31 cents to close at $63.89 on Friday. Brent crude, used to price international oils, lost 14 cents to $71.41 per barrel in London. It added 72 cents in the previous session to $71.55. CURRENCIES: The dollar weakened to 111.95 yen from 112.01 yen late Friday. The euro rose to $1.1309 from $1.1300.